I think they're an awesome tool to make boxes, envelopes and bags so much more easier and all you need to do is follow a few steps. 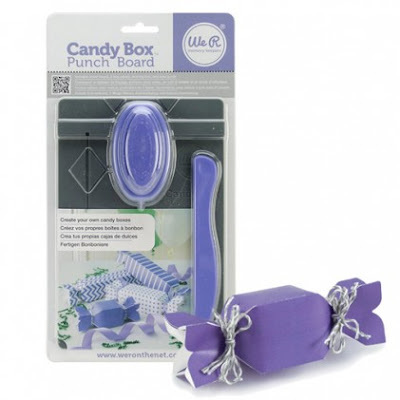 Just before I went away on holiday, I made a few Candy Boxes using the We R Memory Keepers Candy Box Punch Board. 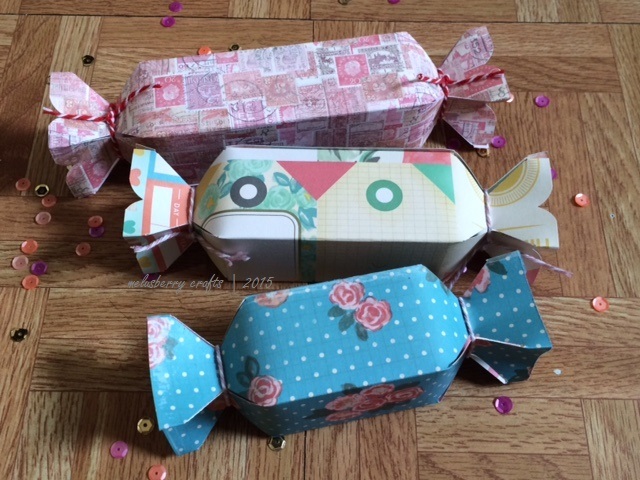 It's so easy to use and within a few steps you can make your own candy boxes. I think these maybe my alternative Christmas card this year. Who knows? I made a few plain boxes with different patterned papers below and used double sided tape and different coloured twine from Papermania to close the ends up together. The paper I used is a 12 x 12 pad from Crate Paper. The width of the paper is always 7" and height or length of the paper can be adjusted to any desired size. Follow the instructions with the guide included and start creating! Ideal for favour boxes and gift treats.